Home > Merchant Accounts > Canceling a Sale: To Refund or To Void? Canceling a Sale: To Refund or To Void? When you process a credit card transaction, the last thing you want to think about is having to cancel it. But it happens: A customer may change his or her mind about a purchase or decide to use a different payment method, or you may incorrectly bill a sale. What do you do? Do you refund the transaction, or do you void it? Although refunding and voiding accomplish the same thing — canceling transactions — they do so very differently. Fortunately, when you have a high-risk merchant account, you’re not in immediate danger of losing your account because of a big refund or void percentage. Still, you want to be sure to cancel sales in the best way possible so that you and your customers are affected as little as possible. Here are a few ways to know whether you should refund or void a transaction. When you issue a refund, your payment processor will charge you its standard discount rate on both the original transaction and the refund transaction. This means you’ll be charged double the amount just to cancel a sale. Once a refund has been requested, it takes three to seven business days for the customer’s card-issuing bank to return the client’s funds. This is often inconvenient for your customers, who will have no access to the money from the canceled sale for days. 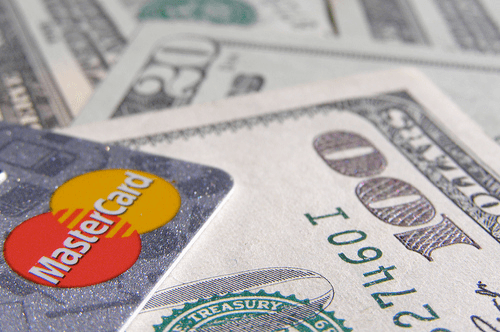 Do you have a high-risk merchant account? If so, your payment processor may require that a reserve is set aside to protect against loss. When you refund a transaction, your reserve holdback percentage may be collected from the purchase amount, which can affect your cash flow. If you issue too many refunds, some payment processors will consider you a high-risk merchant, which could put your account holder status in jeopardy. Many payment processors require that retailers keep their refund percentages at 5 percent of sales or below. However, if you have a high-risk merchant account, this may not be a requirement. Refunds are clearly not the greatest way to cancel a sale, but there is one time when you must use them, and that’s when a transaction has settled. This will usually occur at the end of the day when all of your transactions are batched and collectively resolved. So keep in mind: If a customer purchases an item, then returns three days later requesting that the sale is canceled, you will have to refund it. You will not be charged the discount rate on the original sale or the refund transaction. Your customers’ credit card payments will never process, so they will not have to wait for any amount of time to access the money from the voided transaction. In fact, the void may completely disappear from their bank statements within as little as 24 hours. Your reserve holdback percentage will not be collected from the transaction amount, sparing your cash flow and saving you from unnecessary financial worry! Remember — voids are the ideal way to cancel a sale. But they must be issued before their respective transactions settle at the end of the day. If a customer makes a purchase and immediately — or within a few hours — requests that it be canceled, you can void it. Canceling a sale is never something that you want to do. But there may be situations when you have to, so be sure that you know the best times to refund or void transactions. As a reminder, whether you have a high-risk merchant account or not, you should always issue a void instead of a refund if you can. This will be much more beneficial to you and your customers, and it will help ensure that neither they nor you suffer unnecessary inconvenience.